The long-awaited results of a US$25 million National Institutes of Health study on the effects of cellphone radio-frequency radiation exposure on animals is out, and the results are mixed, the Washington Post reports. They showed a higher risk of tumours, DNA or tissue damage, and lower body weight in some groups of rodents, but no obvious ill effect in others and no clear implications for human health. John Bucher, a senior scientist involved in the 10-year study, was cautious in his interpretation of the results in a conference call with journalists Friday. Given the inconsistent pattern of the findings, the fact that the subjects were rats and mice rather than people and the high level of radiation used, he said, he could not extrapolate from the data the potential health effects on humans. "At this point we don't feel that we understand enough about the results to place a huge degree of confidence in the findings," he said. Bucher also said, "I have not changed the way I use a cellphone, no." The study by the National Toxicology Program involved 3,000 test animals and is believed to be the most comprehensive assessment of the health effects of such radiation on rats and mice. A draft report was released Friday for public comment and peer review, in advance of an external expert review from March 26 to 28. Among other things, reviewers will examine whether some of the results might be statistical noise. Cellphone radiation's impact on human health has been hotly debated for years. 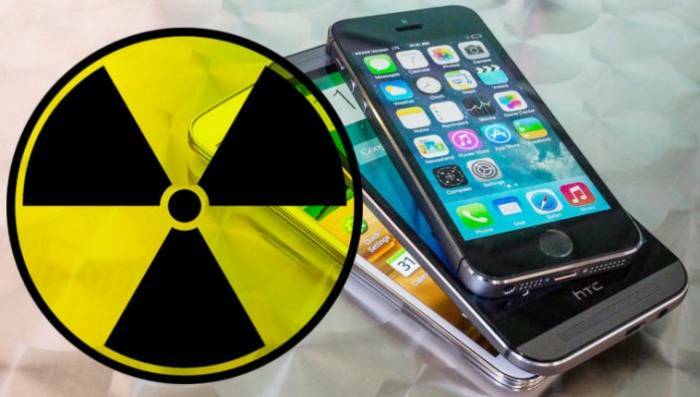 In 2010, the Federal Communications Commission came under fire after it dropped a long-standing recommendation that consumers buy phones with lower radiation emissions. In 2015, the city council in Berkeley, California, approved a disclosure ordinance that directed sellers to let buyers know of the risk of carrying devices too close to their bodies. CTIA, which represents the wireless industry, has sued, saying the warnings are "ill-informed" and violate retailers' First Amendment rights. The strongest finding in the new study involved male rats - but not female rats or male or female mice - that developed tumours in the nerves surrounding their hearts. Researchers also saw increases in damage to heart tissue in male and female rats. If these results are confirmed, Bucher said, they appear to suggest this type of radiation could be a "weak" carcinogen. The male rat tumours were malignant schwannomas. Based on limited researchthat shows a potentially elevated risk of schwannomas near the brain in people, the International Agency for Research on Cancer lists radio-frequency fields as "possibly carcinogenic to humans". The new NIH study showed tumours in rats and mice in other parts of the body - the brain, prostate, liver and pancreas - but the scientists said it was unclear whether those were related to the radiation. The experiment involved placing rats and mice into special chambers and exposing them to levels of radiation that mimic 2G and 3G phones, which were standard when the study was launched, for nine hours a day. Bucher emphasised that even the lowest levels used in the study were much higher than the maximum exposure a frequent cellphone user would get. While the United States has transitioned to 4G, 4G-LTE and 5G networks in recent years, the 2G and 3G frequencies are still used in voice calls and texting. In addition to cancer, the study looked at health effects such as evidence of tissue damage from the heat of cellphones, DNA damage and changes in body weight. Researchers said that they found some tissue and DNA issues but that "we don't feel sufficient understanding to comment on their biological significance." For example, Bucher said, "the patterns of damage to brain in tissues in these animals are not particularly consistent with tumour outcomes." As for the weight issue, researchers saw changes in newborn rats and their mothers when they were exposed to high levels at the time of pregnancy and lactation. They said the study was not designed to tease out whether this was a direct effect on the babies or whether it affected how the mothers cared for their young. "We don't have any idea, really," Bucher said. On the other hand, he added, the babies did grow to normal size. Some health and environmental groups immediately seized on the findings as more evidence of the dangers of cellphones. The Environmental Working Group's Olga Naidenko, a senior science adviser, for instance, said in a news release that the study "should raise alarms for policymakers and awareness for all Americans." The American Cancer Society's Otis W. Brawley, writing in a blog post, was more reassuring: "These draft reports are bound to create a lot of concern, but in fact they won't change what I tell people: the evidence for an association between cell phones and cancer is weak, and so far, we have not seen a higher cancer risk in people." The Food and Drug Administration, which commissioned the study, released a statement describing "the mostly equivocal, or ambiguous, evidence that whole body radio-frequency energy exposures given to rats or mice in the study actually caused cancer in these animals." Jeffrey Shuren, director of the FDA's Center for Devices and Radiological Health, noted that there were unusual findings in the study and said his team is continuing to assess them, but he emphasised that, based on all available scientific information, the agency does not believe there are adverse health effects in humans caused by cellphone radiation. "Even with frequent daily use by the vast majority of adults, we have not seen an increase in events like brain tumours," he said. "Based on this current information, we believe the current safety limits for cellphones are acceptable for protecting the public health."